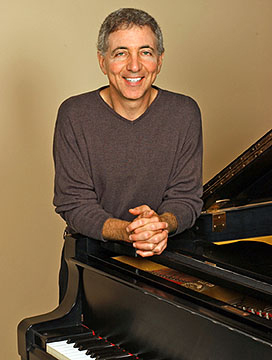 Milford, NH, March 12, 2010 – With a schedule that encompasses arranging, producing, recording, and live performance, pianist/arranger/conductor Randy Waldman has no interest in struggling with musical equipment that compromises the creative process. This is particularly true when it comes to miking the piano. Having grown weary of the seemingly endless string of challenges involved in getting a good, consistent piano sound, Waldman found the solution was much easier than he ever imagined once he auditioned the Earthworks PM40 PianoMic™ System. Waldman’s biography reads like a Who’s Who of the music and entertainment business. He won a Grammy® Award for co-arranging Barbara’s Streisand’s “Somewhere” and he’s performed on and/or arranged numerous recording projects for artists such as Aretha Franklin, Celine Dion, and Michael Jackson. His performances can be found on soundtracks for leading films including Without A Trace, Titanic, and Ice Age (to name but a few) and he routinely serves as a pianist, conductor, and arranger for live concerts. With a track record like this, it’s safe to assume Waldman knows a bit about miking the piano.